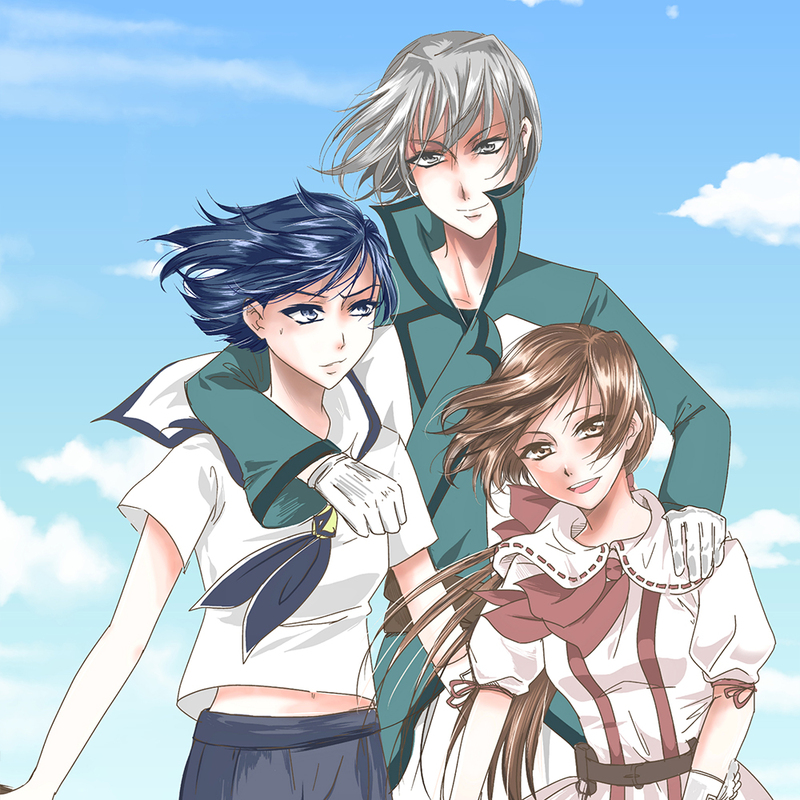 Ban’s mother first introduced her and her twin, Gin, to anime and manga as young girls. Even then, the twins aspired to one day become manga creators. Kamo is based on Ka-Mo which Ban had previously self-published in 2014 and is largely inspired by Caribbean myth. Fun fact: the character Shokola is influenced by Ban's mother, and even a little by a fellow TOKYOPOP manga creator! "I also have [Goldfisch creator] Nana Yaa's afro-hair splendor in mind, which also influenced her design; I tied them together and put them to paper." At just 24 years of age, Gin and her twin Ban, the Swiss natives with Dominican and Italian roots have already reached their goal of becoming manga creators, building a following of devoted fans through social media, and the eventual German publication of their work by TOKYOPOP. Gin Zarbo self-published the fan favorite Cope Soul manga before creating Undead Messiah, which has everything she loves about the horror genre, but with a twist. As she puts it, "There are different reasons why the undead are so interesting. In my family I grew up with horror stories. I've always liked eerie myths and monsters like vampires, werewolves, ghosts and zombies. Due to the fact that a zombie outbreak could trigger catastrophes all over the world, I find them most fascinating because they can spread rapidly compared to other monsters, thereby giving them the power to wipe out all mankind." Born in 1991, Nana Yaa won first place in the manga competition Manga Magie at the early age of 17 and caught the attention of late-night talk show host Stefan Raab, who even had her on his show TV Total. She is now among the most productive artists in the German manga scene and has already published numerous amateur manga and short stories, including the Boys Love webcomic, CRUSHED!! In addition to her contributions to anthologies by the independent publisher Schwarzer Turm, her first full-length work, Patina was published by Droemer Knaur in 2016. Her slice-of-life drama MCS was awarded Doujinshi of the Year in 2016. Nana Yaa lives and works in Neuss and graduated with a Bachelor in Communication Design in 2015. When she’s not at her work desk or thinking about a new story, she plays RPGs, drinks cocktails with friends or passes the time with her dog. Natalia Batista is a Swedish manga artist, illustrator and comic art teacher at Serieskolan in Malmö, the most prominent comic art school in Sweden. Her works include the kids manga Mjau!, published in Sweden, Portugal and the US. Natalia was a founding member of the Swedish manga artist collective and publisher Nosebleed Studio. Natalia loves listening to podcasts, cooking vegan food and farming her own vegetables. She's got two cats who likes hanging out near her when she draws, and occasionally spill her water cups. Born in Iraq, Sophie-chan became infatuated with shojo manga at the tender age of seven. With dreams of becoming a manga artist herself, she began teaching herself to draw using her favorite shows as inspiration. Even as she studied to become an engineer, she kept drawing, refusing to give up her dream of becoming a world-class manga artist. Things took a dramatic turn in 2008 when she started a YouTube channel, which serves as a platform to not only show off her own artwork to fans of her legions of fans, but also provides tutorials to aspiring manga creators all around the world. Now living in Canada with her family, Sophie-chan proves that with hard work, patience and sheer determination you can realize your dreams. Caly started drawing in kindergarten, and started creating her own manga at the age of 12! With qualifications in Applied Arts and Visual Communication, this young French artist completed the final version of her series MaHo-Megumi in 2007, and began self-publishing the following year. Dubbed a "Fanzine Star" by Animeland magazine, Hana No Breath is her first fully published work. Sophie Schönhammer was born in 1991 and lives in Bavaria, Germany. She has always had a love for narrative media and consumed as much as she could. In the indie comic scene, she has already published numerous works and organized several anthologies. Due to her large number of projects, she has gained valuable experience in the print sector. Since 2013, she has worked with Anna on many projects, including the original publication of Star Collector by TOKYOPOP Germany. Anna was born in 1995 in Germany. She started drawing regularly at the age of 11 with a focus on visual storytelling. From 2009 she won awards twice from Manga Talente and once from Manga Magie, two popular manga contests in Germany. Together with Sophie Schönhammer she worked as an artist on several indie comics from 2013 until 2015. From 2014 until 2017 she worked with Sophie and TOKYOPOP Germany on the German version of Star Collector. Kira Yukishiro is a young manga creator from northern Italy. Self-taught, her passion for manga is born from her love for Japanese culture, video game sagas like The Legend of Zelda and her desire to create stories. She is mainly influenced by authors such as Yuu Watase (Fushigi Yugi, Alice 19th), Hideaki Sorachi (Gintama) and Kusanagi Mizuho (Yona of the Dawn). 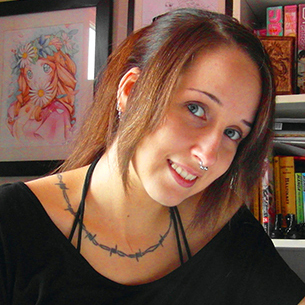 Hailing from Turin in Italy, Rossella Sergi had already published Impossible Amarsi in Italy and Deep Scar in France before joining TOKYOPOP’s International Women of Manga lineup. Fascinated by anime from childhood, she has a degree in Educational Science and works with children part time, drawing tirelessly in her free time. She takes inspiration from her favorite Japanese creators, like Io Sakisaka (Ao Haru Ride), Ai Minase (Sensei to Watashi) and Minami Kanan (Kyō, Koi wo Hajimemasu). Born in Russia, Lorinell has loved to draw since her childhood. She currently works as a programmer and graphic designer. Some time ago, she participated in a manga art contest and won a prize — one volume of Chobits from TOKYOPOP. That was the first manga she ever held in her hands, and she never thought she would create her own finished manga someday. Manga reading is still Lorinell’s first hobby, and the second is playing RPG games. She likes cats, sweets and music. SEE MORE IN OUR MANGA MAGAZINE!